Today on Beadsaholic is a review of Ogerbeads Blue Seeker and Transparency Balloons. Most know how much I love purple, so it won’t come as no surprise that I am in total awe of these two beads! They both play nicely with other beads as you will see in this review. Ogerbeads Blue Seeker has beautiful shades of purple, magenta, iridescent shades of blue and at certain angles a touch of an ambery sunset. Blue Seeker is made with a reactive glass called Silverglass, this makes each bead slightly unique, with Silverglass it reacts to each process differently which is why the possibilities are endless for an artist. Color may vary from bead to bead but will all be similar. The great thing I love is you can pick your bead from their website, this gives you control over which one you receive! Ogerbeads are also consistent in size, this doesn’t mean a lot to many collectors but for those who like a pair of the same bead on a bangle size is important. Below I’ve included photos at different angles to show off the beautiful colors and details of this bead, these are outdoor pics on a partly cloudy day. Ogerbeads Transparency Balloons has inner shades of amber, magenta, purples and a touch of iridescent blue. This bead is also made with reactive Silverglass but in the process of this bead it gives it a neat reflective look at different angles. Photographs really don’t do this bead justice, but I tried to capture its true elegance. Transparency Balloons is a smooth bead with balloon like bumps randomly around the bead adding texture. Below you will see this bead at multiple angles. This is the current stock photo on Ogerbeads website of both Blue Seeker and Transparency Balloons. This is one of the photos that you choose your bead from on the site. Here I have paired Ogerbeads up with Ohm Beads, Trollbeads and Elf beads. For a full list of beads on the bangle with Ogerbeads scroll down. Ohm Beads Italian Collection Review coming soon! Trollbeads Aurora Flowers retails for $34 and can be purchased here. Ohm Beads Volcanoes (Italian Collection) retails for €52 and can be purchased here. Ogerbeads Blue Seeker retails for €27 and can be purchased here. Ohm Beads Romance in Venice (Italian Collection) retails for €52 and can be purchased here. Ogerbeads Transparency Balloons retails for €27 and can be purchased here. Ohm Beads Tour Italy (Italian Collection) retails for €52 and can be purchased here. Elfbeads Halo Fractal retails for €33 and Elfbeads can be purchased here. Ohm Beads Mouth of Truth (Italian Collection) retails for €52 and can be purchased here. Ohm Beads Magic Books (Pianeta Beads Exclusive) retails for €59 and can be purchased here. I thought I’d do something a little different and include videos in this article. If you find the videos helpful, I’ll continue to do some from time to time in future articles. As you can see Ogerbeads Blue Seeker and Transparency Balloons mix well with other brands and especially Trollbeads Auroras and Elfbeads Halos! I am really enjoying mixing this brand with my other brands and find them completely compatible. However, with that said I must note that Ogerbeads do have smaller cores and do not fit all bracelet systems. 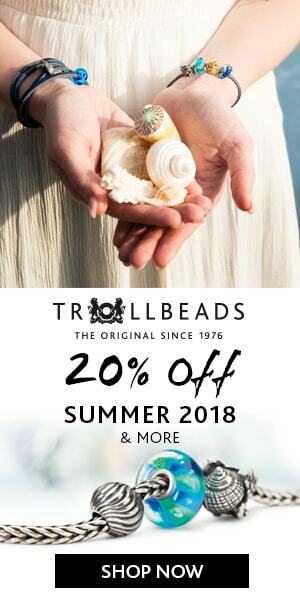 They do fit Trollbeads, Redbalifrog, Ohm Beads bangles and the new cuff bangle from Pandora, but do not fit traditional bracelets like Pandora, Ohm Beads and Chamilia. I have been wearing the above combo all week while getting ready for this article and I must say I am really enjoying these beads. 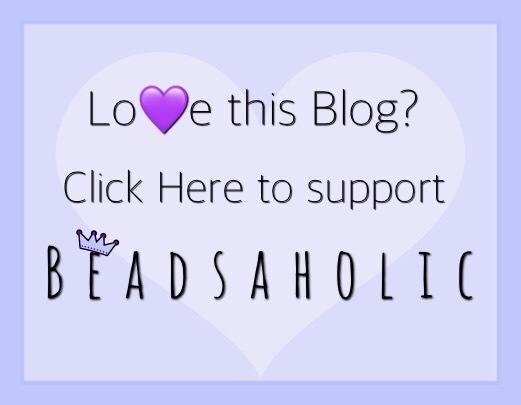 If you like Ogerbeads and would like to browse their collection then click on the banner to shop below. I hope you all found this review helpful and as always, I value your feedback, so if you would like to leave me a comment you may do so below. What do you guys think of Ogerbeads? Have you bought any and if so what are your thoughts on this brand? Hi Natalie, click on the banner above or go to the list of beads on the bangle and click on the ‘here’ next to Blue seeker, it will take you directly to it. Once you are there pick the one you want from the drop down menu to add it to the cart. Hi Paula, thank you for this great blog post. I’m really impressed about your beautiful pics and that one can have such a close look at the beads, especially the glass. I always love your bangle and bracelet combos. And yes, I would like to see more videos in future (Wow… even with background music 👍) . I’m finding it very helpful to see the beads “in action” and in different light. After reading your reviews here and having seen your posts on IG I checked the website from Ogerbeads and I must say that their beads are all gorgeous! I was fallen in love immediately and couldn’t resist so I ordered a few. My favourites are the faceted beads. I would like to have them all 😱😅. Great to see that Ogerbeads fit the Ohmbeads Twisted Bangle! Thank you so very much for the kind words, Bärbel ❤️ I am so happy you like this blog post and my IG post! Yes! I think you will love Ogerbeads even more when you see the ones you have ordered in person! Her work is fab!